Can you believe we’re already almost at the end of January?! 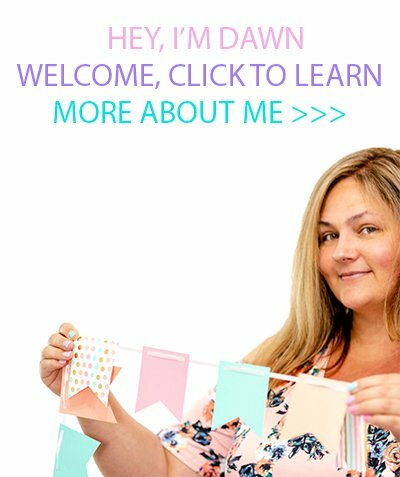 Have you been wanting to start fresh with a clean slate? Is everything stacking up the way you planned? I’ve had a bit of a slow start, but one of my goals has been to eat three meals a day. I’m often skipping lunch because I’m eating breakfast so late… Do you struggle with this, too? 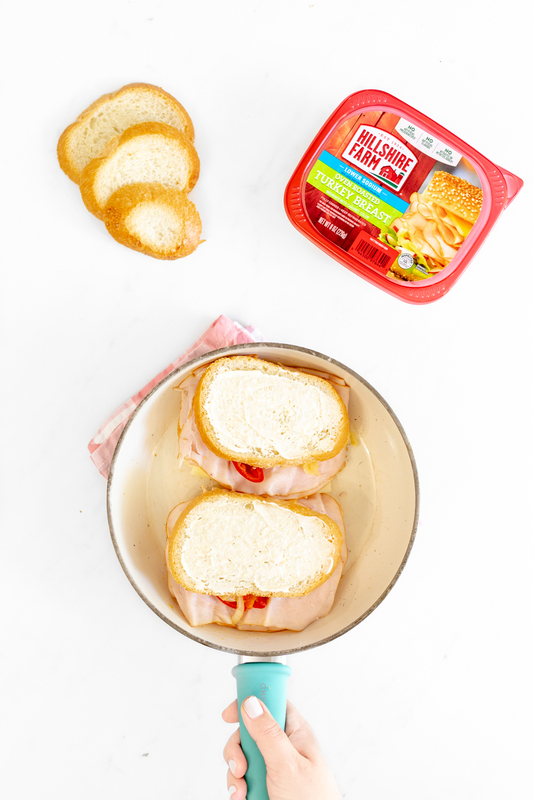 On my mission to find enticing lunch ideas, I came up with a Cherry Pepper Turkey Grilled Cheese Sandwich to share with you today. It’s so good that it might do the trick in getting me to enjoy lunch more often and get more pep in my step! Am I the only one that feels sluggish skipping a meal? Instead of reaching for a caffeinated beverage, I’m trying to make sure to eat something nourishing. Are you ready to upgrade your situation in 2019, too? 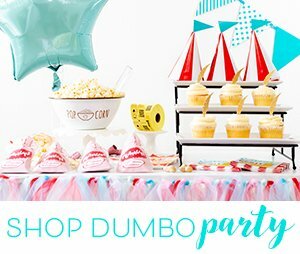 You’re cordially invited to join me to “Be The Best You” with great products and savings at Publix that can be found at www.getthesavings.com/bestyou! 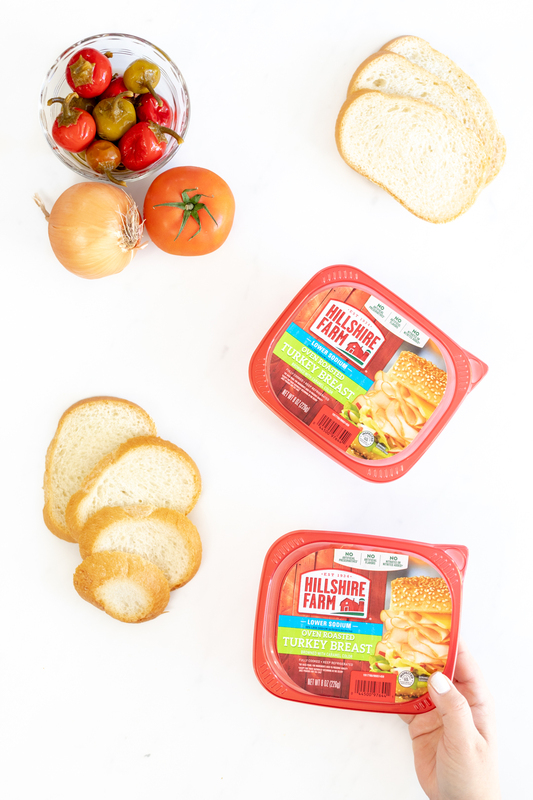 With an awesome $3 off a $15 purchase of participating products like Hillshire Farm® Lunchmeat offer at Publix right now as a part of their promotion, its stock up time. More on that later… let’s make lunch! 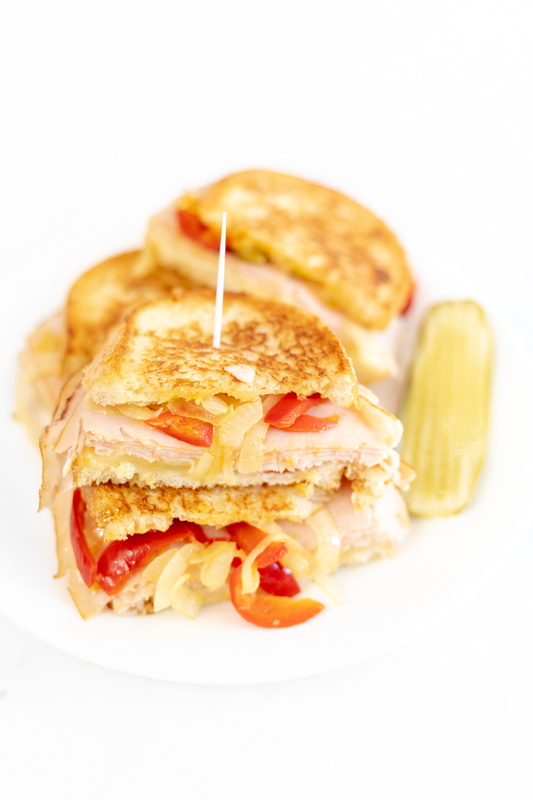 This recipe is inspired by a sandwich that my husband and I used to love from a Cuban restaurant back in Rhode Island. Sadly it no longer exists, but I can keep that memory alive with this yummy idea. 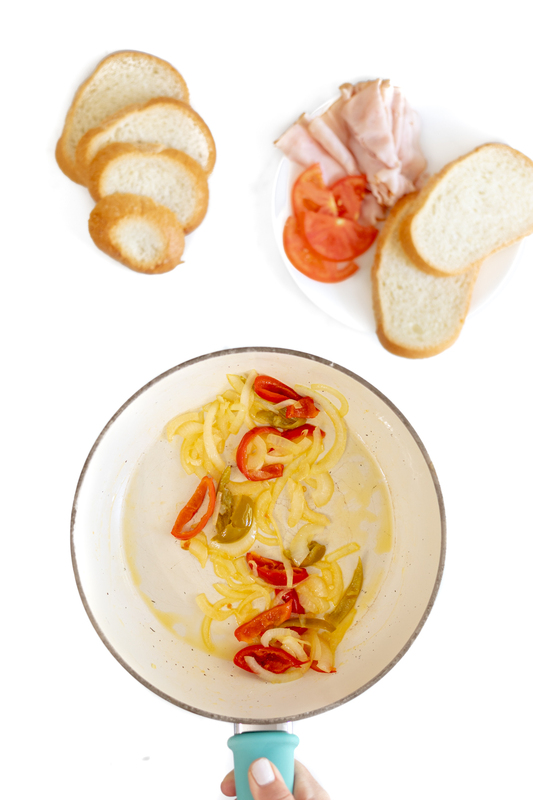 The sandwich had three cheeses which are swiss, smoked gouda and pepper jack along with cherry peppers. For this, I’m also taking it up a notch by adding in some oven-roasted turkey which really made this extra memorable and filling. Definitely lunch-worthy if you ask me. First up, we’re sautéing those cherry peppers along with some onion which adds so much flavor. Then, we are adding in sliced tomatoes and that delish cheese combo that I mentioned. Then, it’s time to layer the smoked turkey. I love that it’s thin sliced and the serving size goes really far for making the sandwich feel filling. 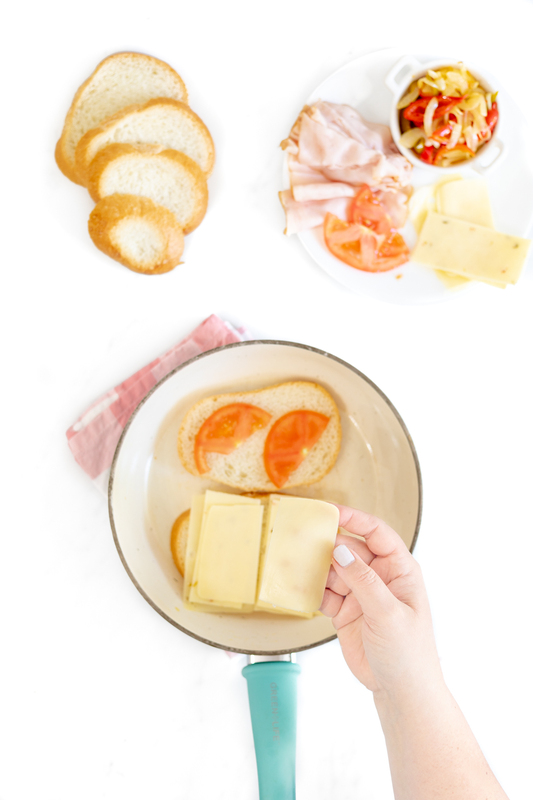 Then, to make it perfectly toasty, we’re using my very favorite grilled cheese hack! We’re adding mayonnaise instead of butter to grill them up. I absolutely LOVE the toast and flavor it adds. In just 5-6 minutes or so, this sandwich is grilled to absolute perfection. Oh man, it’s SO yum. Caramelized Onion + Pepper Mixture: Set stovetop on medium heat and melt the butter in a frying pan. Once the butter is melted, add the onions and peppers. Turn periodically until the onions are translucent. About 5 minutes. Bread with remaining mayo spread on top. 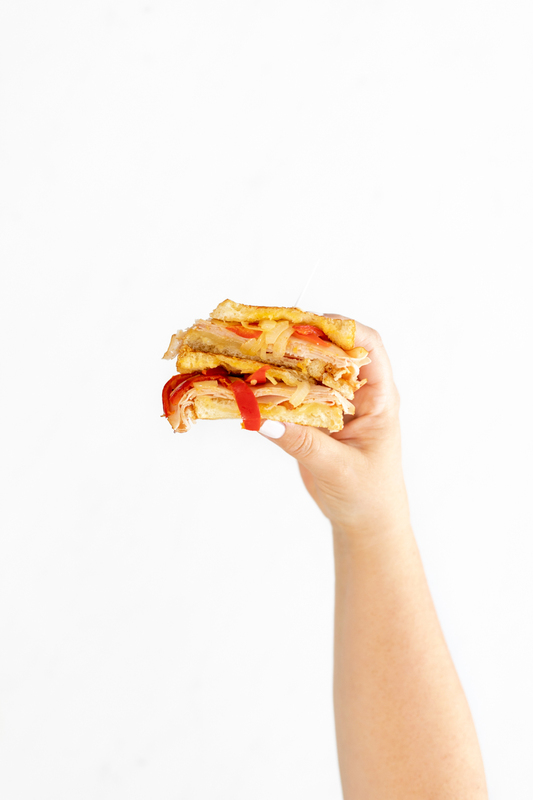 Once the bottom of the sandwiches are golden, flip them until the other side is equally golden. This will take about 6 minutes total. 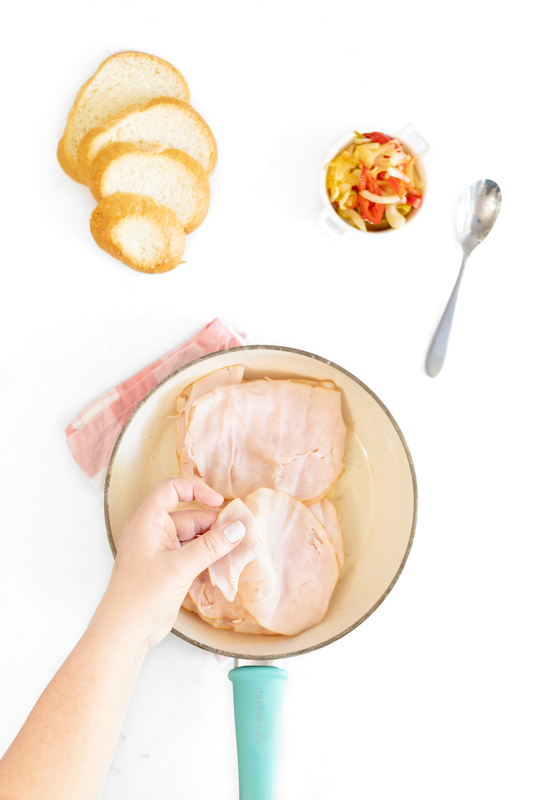 Don't take your eyes of the sandwiches, they crisp up quickly with this method. Enjoy! Are you tired of skipping meals, too? I hope this lunch solution helps you start the year feeling your best! Make sure to save the date (1/26/19 – 2/23/19) and save this Publix Best You coupon page to save over $65! Get ready for 2019 with hot savings and make sure to stop by your local Publix.